You are at:Home»News»AC/DC announce rescheduled live shows with Axl Rose! 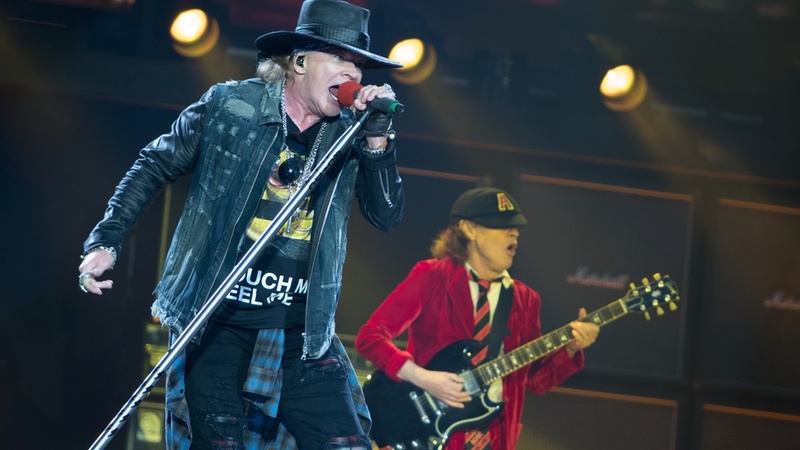 AC/DC announce rescheduled live shows with Axl Rose! AC/DC have played to over 4 million fans on the ‘Rock or Bust World Tour’ and the current line-up of Angus Young, Cliff Williams, Stevie Young, Chris Slade andAxl Rose are set to continue their global trek with a return, for the final leg, to the USA. AC/DC released their highly acclaimed studio album, ‘Rock or Bust’, in December 2014 and it peaked at #1 in twelve countries and #3 in the U.S. Billboard charts. In a career that spans over four decades, AC/DC have sold an incredible 200 million albums worldwide, over 70 million in the US alone, producing landmark albums such as ‘Highway to Hell’ and the seminal ‘Back in Black’ which is the biggest selling hard rock album ever, helping to make AC/DC one of the top five selling bands in American music history. Their distinctive brand of high voltage rock ‘n’ roll, awesome stadium rock shows and everlasting anthems continues to energise fans globally from Adelaide to Atlanta, from Prague to Philadelphia and all points between.